Adventures in Motorsports/AIM Tours is a complete destination management service for group tours in the Charlotte, North Carolina surrounding area. They are a full service receptive operator offering a full line of motorsports products as well as a wide range of other venues for group needs. Whether it’s a group tour, race package or meeting activity, they can customize a tour package for all groups, including Charlotte Motor Speedway packages with exclusive tour options. They will arrange a complete stay for groups, including lodging, meals, activities, and transportation. 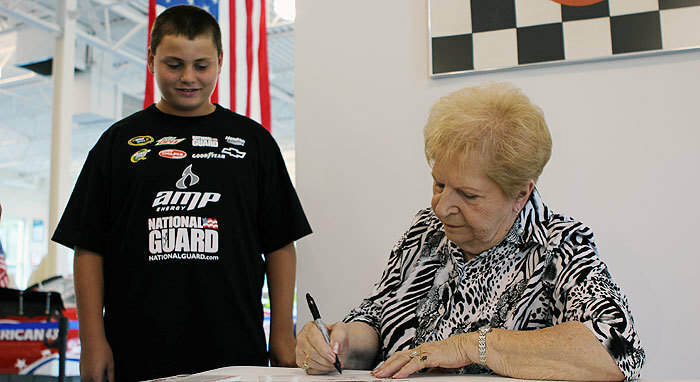 They also provide step on guide service and exclusive receptions with appearances by Martha Earnhardt (Dale’s mother) and Sam Bass, motorsports artist (based on availability). They also handle all payments to the suppliers.